There are many reasons to have your artwork photographed–share it on the Web, make giclée prints, publish it in print form, submit it to a jury, general promotion, archiving. To have an accurate photograph of your painting is to represent your work in the best possible light. While you may be able to take the picture yourself, the resulting image may fall short of accurately representing your artwork, and the file may not meet the strict requirement of those requesting files. Expert jurors cite good photography as a key element in jurying success. I offer photographic services to assist artists with this process, and make myself available to help my clients when they have questions about using my photos. See a gallery of my client's artwork, below. While this page is intended to share information about photography of 2-dimensional flat artwork, I also offer photography of 3-d pieces, gallery exhibits, and installations. I developed strong technical skills in photography through my studies at the School of Photographic Arts and Sciences at Rochester Institute of Technology for my fine arts degree. As far back as 1980, I was assigned the task of accurately reproducing artwork on film. Related topics of study, such as Reproduction of Photography and Color Separation Techniques, added to my knowledge of this discipline. I made the transition to digital technology years ago, now using state-of-the-art cameras, computers, and software. My process for photographing paintings includes using cross-polarized incandescent lights to reduce glare and reflections, and to provide accurate color. Editing of the resulting file includes adjusting each color's hue, saturation, and luminance (brightness) values to match the original painting while it's in hand. Additional editing corrects the painting's aspect ratio, and allows for any special requests (such as compositing images or adding a background). While estimating the cost of photography is only done by discussing your artwork in person, I can offer general prices for services so you can plan your budget. I offer a 2 hour minimum session in my studio for $150; additional time is billed @ $75/hour. Editing is billed at $45/hour with no minimum. For example only, a session to photograph and edit a dozen typical paintings often takes up the 2 hour session and requires an additional hour of editing. Additional costs may include file delivery (on a data-DVD or flash drive), index prints or contact sheets, and Vermont sales tax. Many paintings have special shooting and editing requirements that extend the time (or it may go more quickly! ), so please contact me so I can go over your specific needs and provide a more accurate estimate for your job. Photography can also be done in your studio or in a gallery. The minimum billing time for location work is 3 hours, and travel costs will be added. Note that color and tonal corrections cannot be done on site unless I bring my calibrated monitor, which is rarely requested. When you contact me about your work, I'll ask what medium you work in, the size of your pieces, and any characteristics that pose a challenge to photography and editing (framed work under glass, metalic or highly reflective elements in your paintings, irregular edges to your artwork, thick or deep surface treatment, etc). I'll also ask you how you plan to use the photos to determine the optimum file type and size you'll need. Please note that I do not make giclée prints, but I can recommend a trusted professional in my area who regularly prints my files. Some of my Best Mistakes, composite of nine 6"x6" paintings. Long-time client Kathy Stark is an artist living in the Northeast Kingdom of Vermont. She sometimes needs to have her multi-piece artwork presented as they would hang in a gallery. 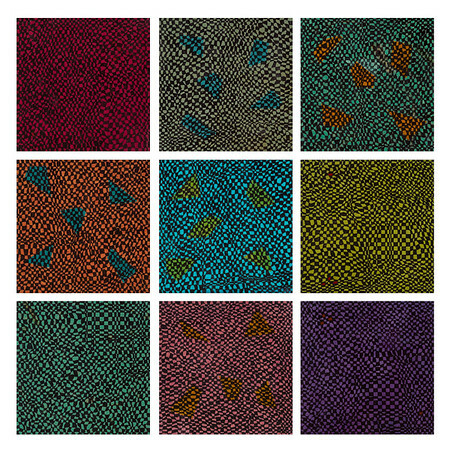 In this case, I photographed nine 6"x6" pieces separately and composited them in a 3x3 configuration on a white background using Photoshop. A Change in the Weather 36"x36". 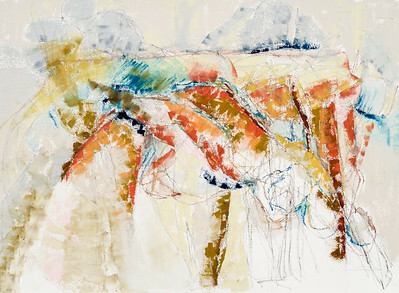 Elizabeth Nelson is a Vermont landscape painter whose work has included both abstract and realistic forms. 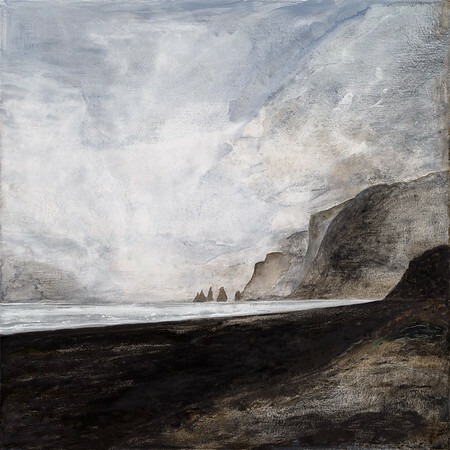 This acrylic is from a recently-produced body of work from Iceland. Music From an Open Window. Meredeth Turshen is an artist, professor and writer living in New Jersey who teaches at Rutgers University. She regularly attends the Vermont Studio Center and has me photograph her typically abstract paintings on paper at the end of each residency. 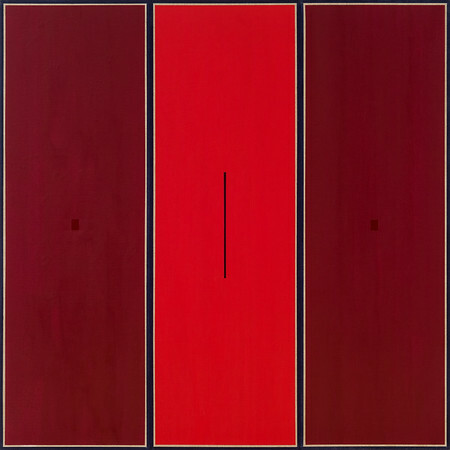 Ketchum Hill Series 2015 #12-14 Triptych 60"x60". Paul Gruhler's works "reside in the tradition of geometric abstractions where intensity of color and refinement of form are paramount" (from his Website). 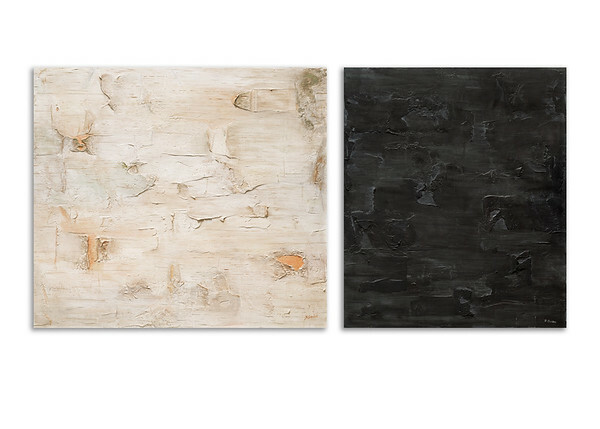 Ghost Birch, 48"x54" with Black Birch, 41"x48". 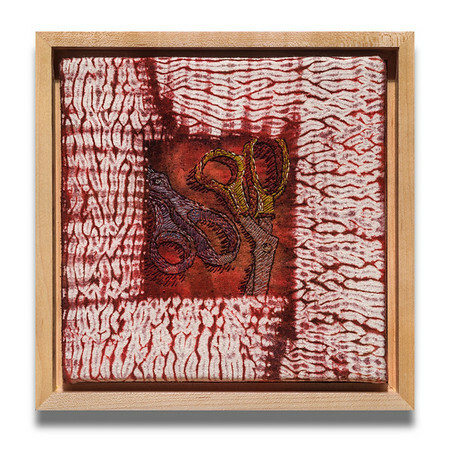 Barbara Gordon's current creations include large panels mimicking birch bark. This diptych was assembled from two individual photographs, a drop shadow giving the illusion of depth. Yin Yang, 8"x8". Elizabeth Fram creates art that embodies drawing and stitching. She brings me textiles to be photographed with their frames. Though not requested by the artist, this sample includes my presentation of the piece on a clean white background with a drop shadow. There But For Fortune, 36"x52". 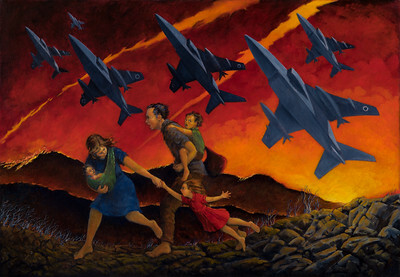 Ann Young is an accomplished oil painter whose subjects range from small portraits to large, thematic landscapes. 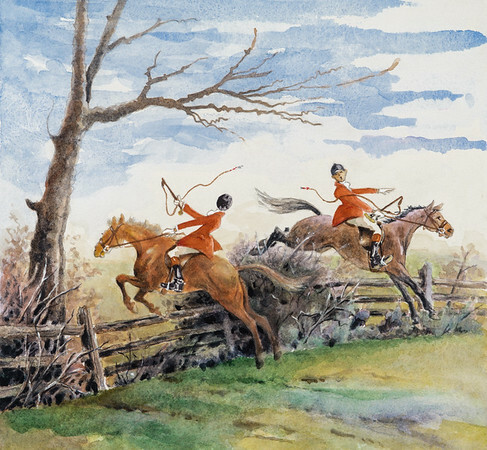 Sally Nelson is a Stowe illustrator who exhibits regularly in regional galleries. During the design of a limited edition picture story book, she was told by her printer to have the paintings accurately photographed, edited, and delivered to them on disc. I was pleased to help with the process.